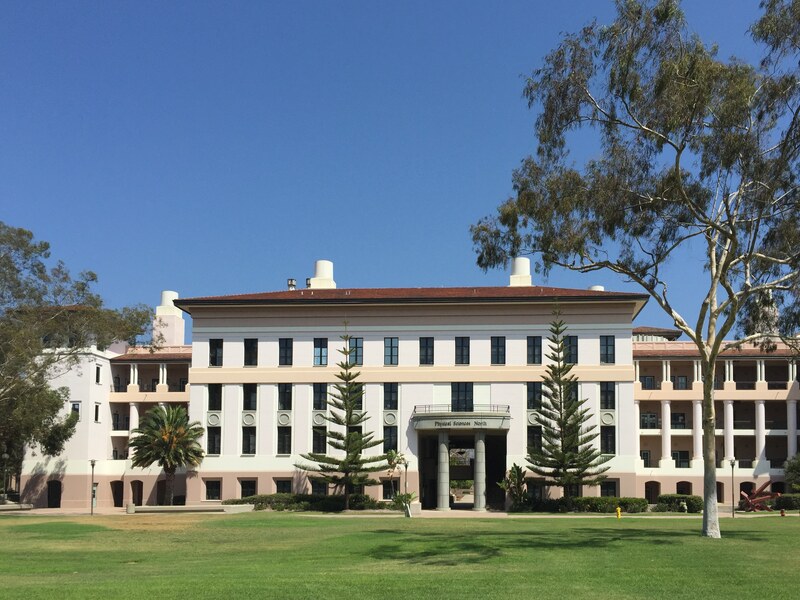 This project added two new Physical Science buildings to the UCSB science quad. 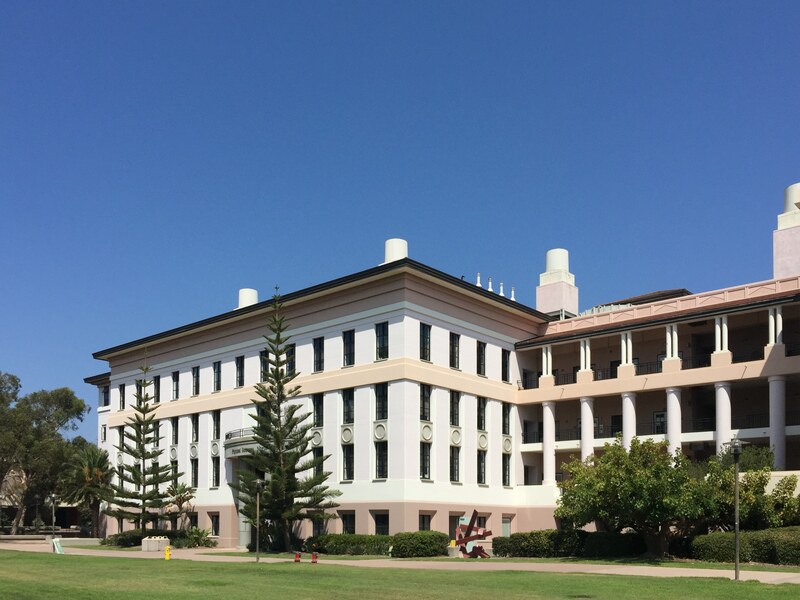 The north building is a four story, reinforced concrete, laboratory building which houses the Physical Sciences Department and includes laboratories, classrooms, and faculty and administration offices. 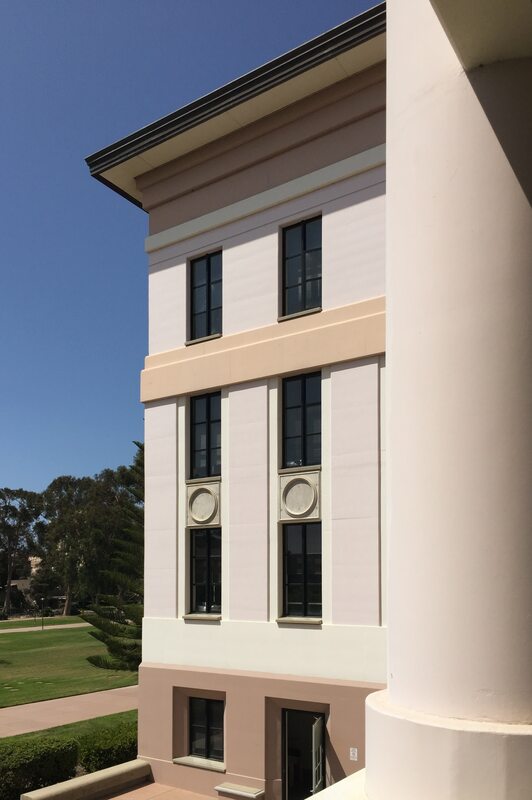 The cast-in-place, punched, perimeter concrete shear walls were formed to produce a highly articulated exposed exterior architectural finish that helps define the building's architectural style. Floors and roof are 12 inch thick concrete flat slab construction with short 22 foot bay spacing to meet the strict vibration criteria established for laboratories. At the roof level four mechanical steel framed penthouses house the laboratory's 16,000 lb air handling units. 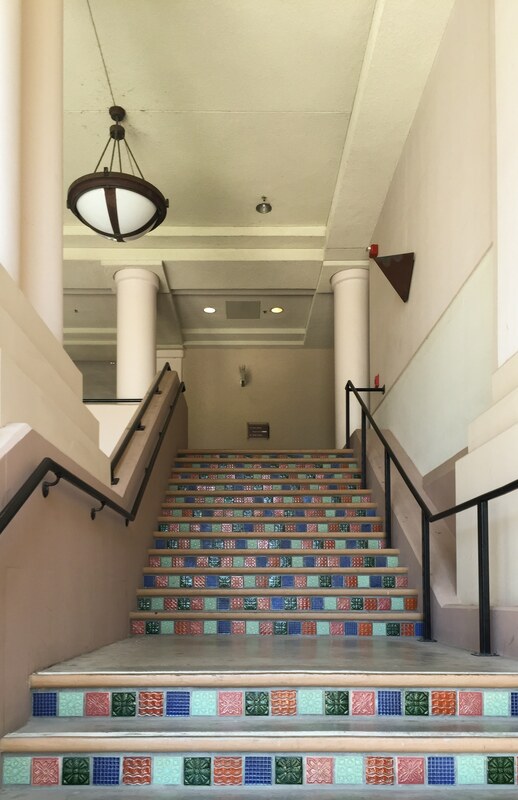 The south building is a 2 story reinforced concrete buildings and houses two stories of offices at the south end and a high ceiling mechanical shop space at the north end for the Physical Sciences Department. The cast-in-place concrete structure is constructed with articulated exposed exterior punched shear walls which serve as the lateral force resisting system and provide the exterior architectural finish. The building includes a steel framed mezzanine floor and roof construction. An adjacent open air, 2000 sf, below grade cast-in-place central plan was also constructed to serve both this building and the north physical science building. Worked with architect to develop layout and dimensions for exterior articulated cast-in-place concrete walls to assure formwork cost efficiency through use of standard lumber sizes and joinery. Performed vibration analyses and used flat slab construction to achieve 1000 micro inches/sec performance for sensitive electron microscope laboratories. 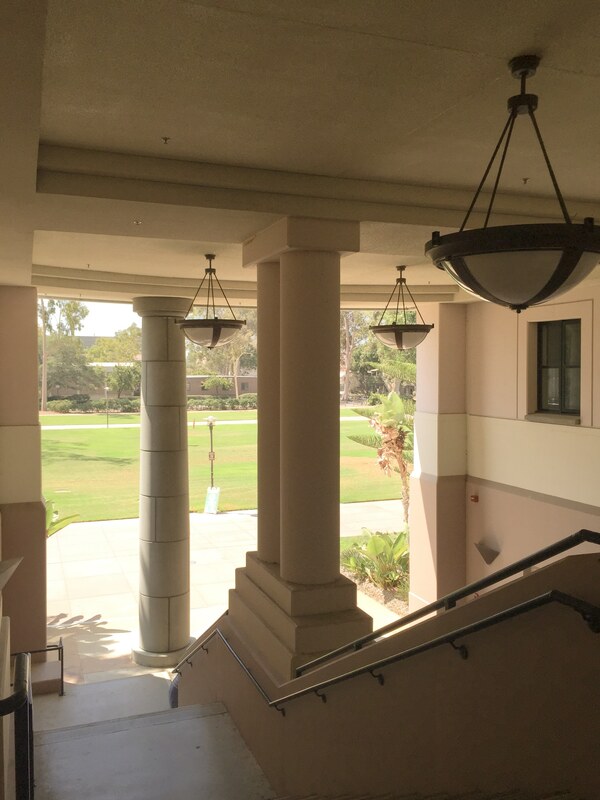 A two story high open air central corridor/breezeway passes through the building and aligns with the main east/west campus axis. 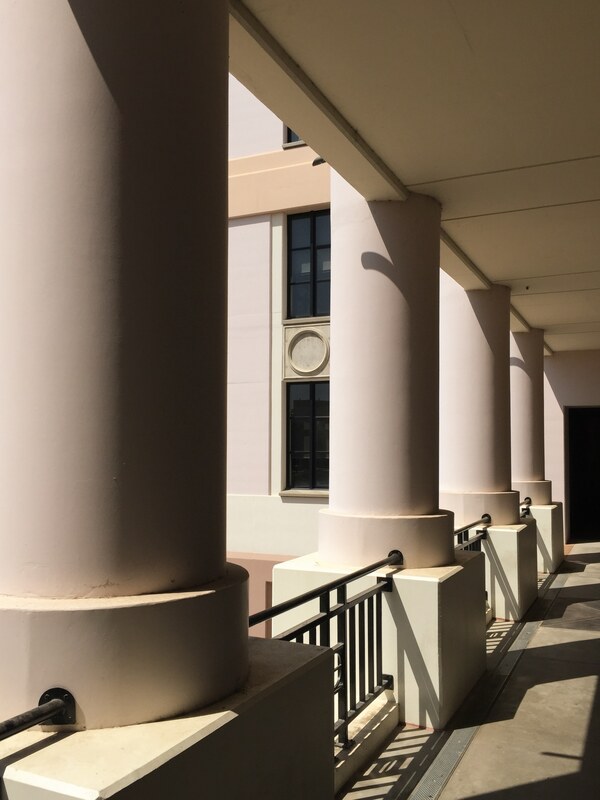 Detailed connection system to join segmented precast concrete sections that form two tall Romanesque columns at the entrance to the breezeway. 30 foot tall steel framed exhaust stacks rise above the roof.